Who among us has never lamented the lack of a fast food-based special edition smartphone? Well now that pain is over. Huawei has partnered with KFC to release a limited edition version of the Enjoy 7 Plus that celebrates the 30th anniversary of the restaurant chain arriving in China. 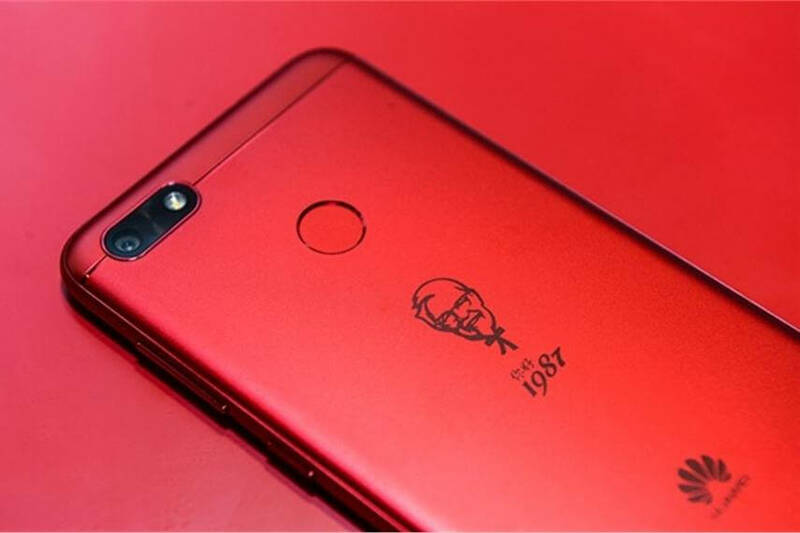 The bright red handset comes with a laser-etched picture of Colonel Sanders emblazoned on the back, along with Huawei’s logo and KFC’s Chinese launch date (1987). It also ships with a pre-installed KFC app and K-Music, a jukebox-style application that lets you create and share playlists in one of the country’s 4000 restaurants. You even get 10,000 "K dollars,” a digital currency used by KFC in China. "Between KFC and Huawei [...] both brands have witnessed the rise of China in these 30 years. Our collaboration is a homage to the era," Steven Li, senior vice president of KFC marketing told Campaign Asia-Pacific. The phone itself is a mid-range affair that looks similar to the Red iPhone 7 Plus (minus the second lens). It features a 5.5-inch 720p display, Snapdragon 435 SoC, 12MP camera, 3GB of RAM, 3,020mAh battery, rear fingerprint sensor, and 32GB of storage that can expanded up to 128GB via microSD. Being a limited special edition, just 5000 of the handsets will be made. They’re only available in China and are available for 1,099 yuan (around $162). KFC China has been quick to embrace new technology in recent times. The chain opened its “Original+” concept store in Shanghai last year, which is staffed entirely by robots. And in January, it teamed up with Baidu to develop facial recognition technology that can supposedly predict a customer’s order just by analyzing their facial features.